Every home needs a floor, ceiling, and roof - your bee hive is no exception! We offer a variety of products to fit these requirements. 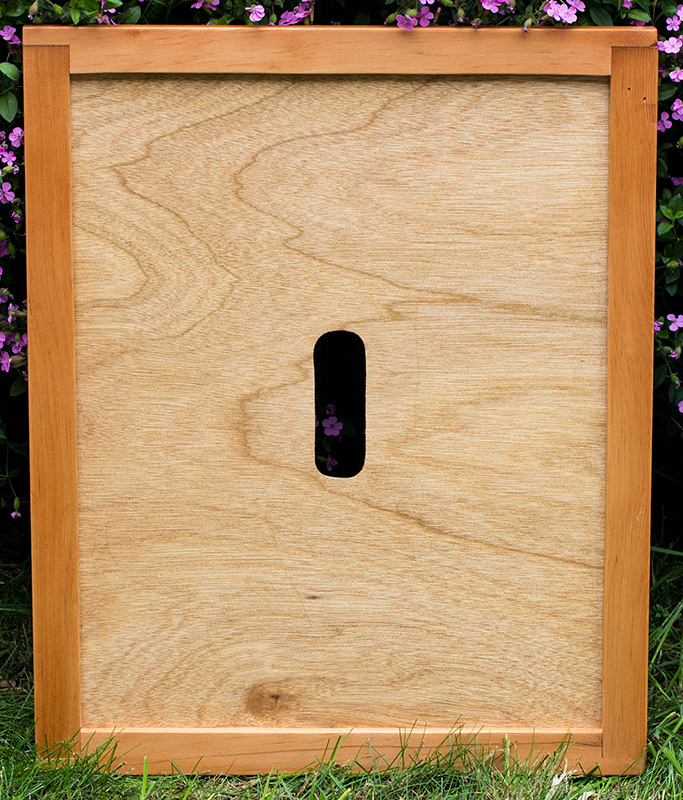 If you regularly move your bees up to the mountains or to different apiaries, we also offer a Flip-Up Screened Bottom Board which allows you to quickly and easily close the entrance to the hive for transport. 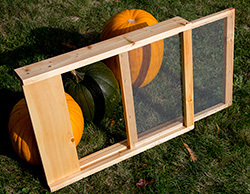 It offers the same slide-out mite tray and ventilation benefits as our other bottom boards. 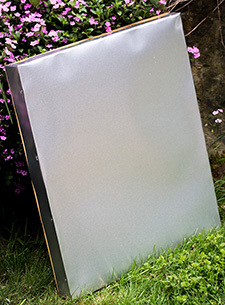 Garden Style Ventilated Outer Cover: We designed this outer cover exclusively for our wet West Coast climate. They look great, but that's not all - unlike most other peaked ("Garden Style") roofs, these are heavy-duty roofs which offer huge ventilation benefits and can be used year-round. 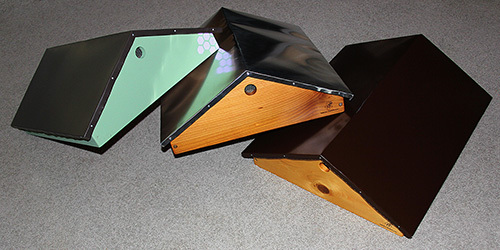 In winter, the vent holes draw wet air up into the attic space and out through the gable ends, which increases ventilation in the hive. For this reason, you don't have to add any insulation or ventilation to overwinter your colony - use it year-round without having to change a thing! Summer benefits include less bearding and faster capping of honey reserves. 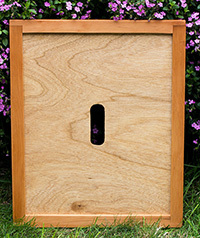 It also makes a much more attractive addition to your apiary. The metal top is sheet aluminum and is available in your choice of silver (polished aluminum) or brown - both options are the same price. 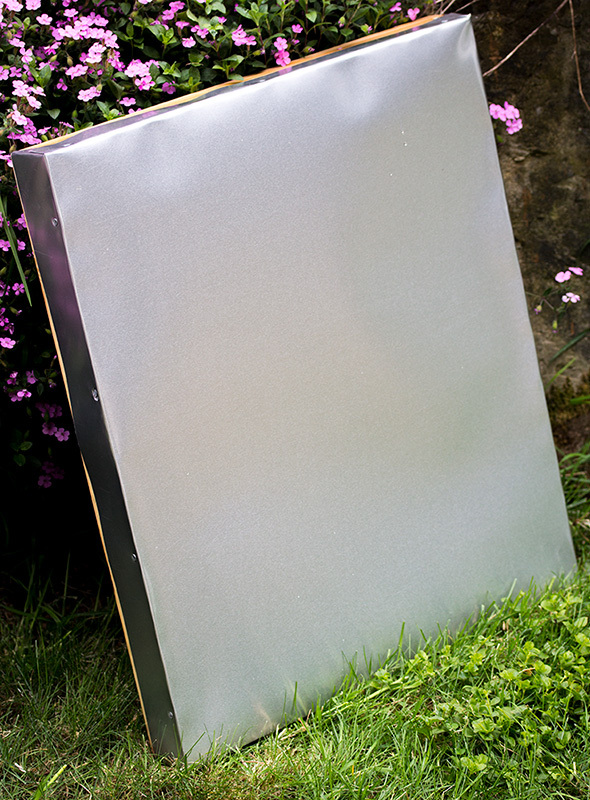 Click Here for more photos and details about our Garden Style Ventilated Outer Covers. Shown are (left to right) Painted Pine with brown roof, Oiled Cedar with silver roof, and Stained and Oiled Pine with brown roof.